Our "TGSEB" (Tellicherry Garbled Special Extra Bold) are the highest grade of organic black peppercorns available, selected from only the plumpest berries—those that produce a rich and complex pepper flavor. 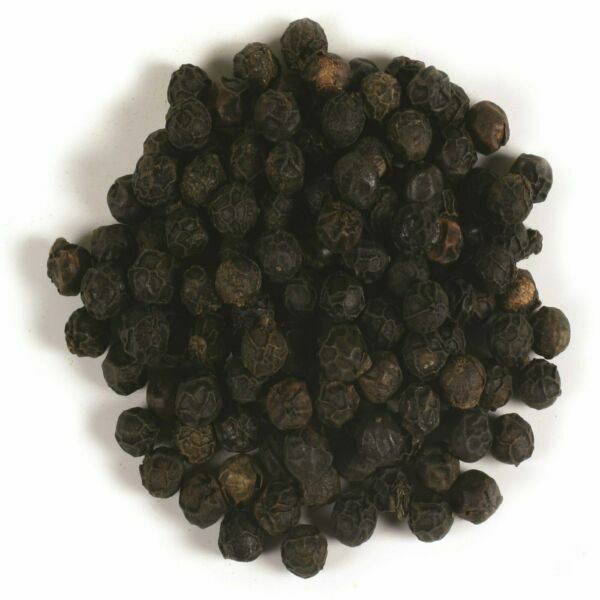 Tellicherry black peppercorns are truly multipurpose—they are used to enhance the natural flavors of a tremendous variety of foods. Coarsely grind onto meats, vegetables, beans, salads, and pasta.